Tassie Trail Fest offers unique opportunities for walkers and runners to get a first-hand experience on the World Class mountain bike trails at Derby in Tasmania. The 21.2 km course at Tassie Trail Fest differs markedly from the course at Point to Pinnacle as walkers will encounter the challenge of covering a course designed for mountain bikes with scores of switchbacks, berms and steep plunges to navigate. Trail Train is a highly specific training program that will give walkers the best chance to complete the course inside the 4.5 hour window. Trail Train prepares walkers for the uncertain walking environment on offer at Tassie Trail Fest by conducting sessions across a range of terrains: prepared mountain bike trails, switchbacks and an epic 10 km beach session. 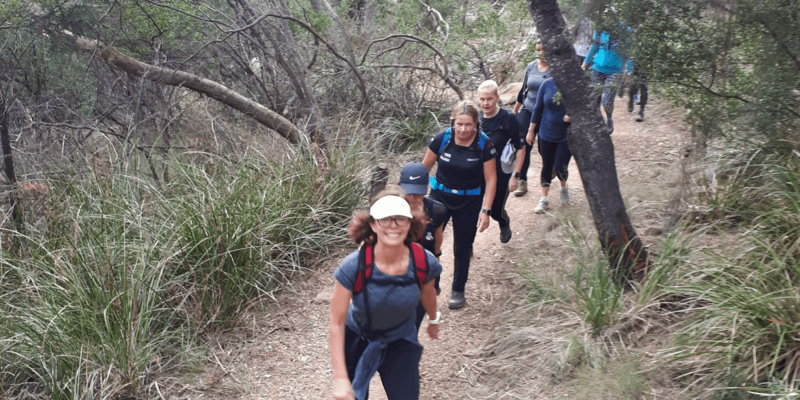 For participants not planning to enter the event, but still wanting to complete Trail Train, they will have an increased confidence in walking across a variety of uneven terrains and improved cardiovascular fitness. Participants will be ready to participate (optional) in walking the Trail Fest Half Marathon at Derby. Sessions range from 2 hours to 5 hours. For more information email contact@ascentfitness.com.au and request an info pack.